What National and Local Compliance Approvals Does Epoxy Pipe Lining Have? The potable water in your building is what helps keep your residents healthy and clean. It’s used for drinking, cooking, cleaning, showering and washing clothes, and it is imperative that the water that flows through all your taps is free of harmful contaminants. 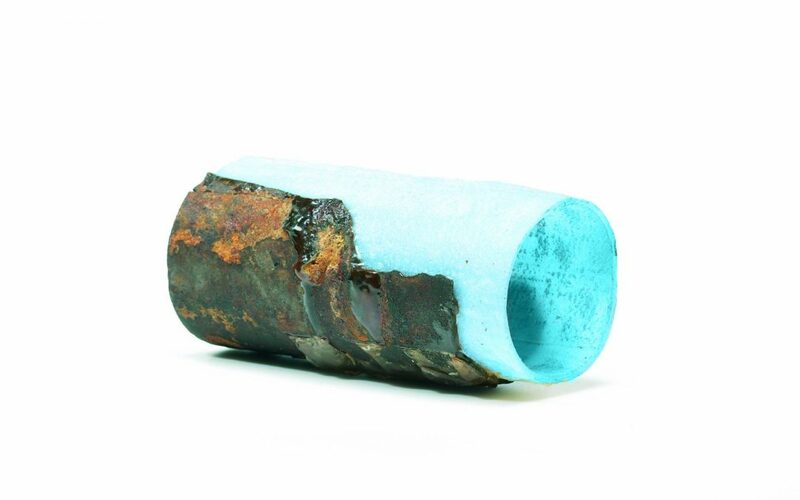 Here at Nu Flow in Chicago, we take the safety of your potable water extremely seriously, which is why we have all the required national and local approvals for lining potable water pipes. Before any plumbing product can be put on the market for sale or used, it must have certain approvals from the NSF/ANSI, IAPMO and ICC-ES, if applicable. Here at Nu Flow, we always make sure our products are safe and that they adhere to all the applicable building codes and usage requirements. The NSF is the public health and safety organization that is responsible for testing and ensuring that everything connected to or used inside your potable water system is safe to use for drinking water. This includes potable water plumbing pipes, faucets, showers, drinking fountains, pipe sealants, coatings, paints, plastics and cements. All of those components must comply with NSF/ANSI 61. Here at Nu Flow, serving the greater Chicago area, we have acquired our NSF/ANSI 61 certification. This means that we applied for approval and submitted all the relevant data on our pipe coatings and liners that are used for potable water pipes, including the formulations and materials used. The NSF then performed a plant audit and collecting samples. After extensive testing and evaluation of the collected samples, we were granted NSF/ANSI 61 approval and certification. The ICC-ES is responsible for evaluating the products, components and materials used in buildings as well as evaluating methods in order to ensure the building meets certain code requirements. In order to determine if a product or method meets all the applicable codes, a quality inspection of the manufacturer’s facilities, materials and end-products. Once the inspection is complete, a report is generated. The ICC-ES also requires follow-up inspections or annual inspections for every manufacturer that holds a report. This is to ensure continual compliance. 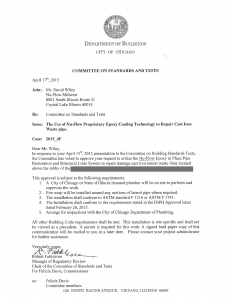 In addition to the national and international testing, evaluations and compliance, Nu Flow is also responsible for adhering to all local codes and regulations in Chicago and the state of Illinois. To achieve this, we met with the Illinois Department of Public Health for two years in order to ensure that our pipelining systems both inside buildings and outside buildings were compliant with all applicable codes and safety standards, and we are proud to say that we are approved for use in both indoor and outdoor pipelining applications within the city of Chicago and the state of Illinois. 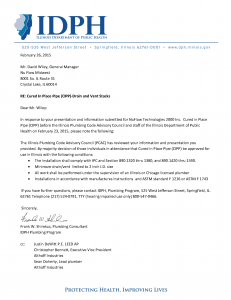 This process involved meeting with the Plumbing Advisory Council and the city of Chicago in order to present out methods, materials and data so that they could determine if pipelining was safe and effective. All of the applicable state and city agencies signed off on our pipelining technologies. In fact, our first project was with the Water Department of Chicago. Our pipelining technicians are authorized, certified and experienced in lining all types of plumbing pipes, including potable water pipes, drain line and sewer lines. When we line the pipes in your building or on your property, you can be assured that we will have a licensed plumber available and an inspection will be performed after every pipelining service to ensure that the liner was installed correctly and performs as expected. You can also be assured that all of our products adhere to the applicable standards, including NSF/ANSI standards and all building and plumbing codes. 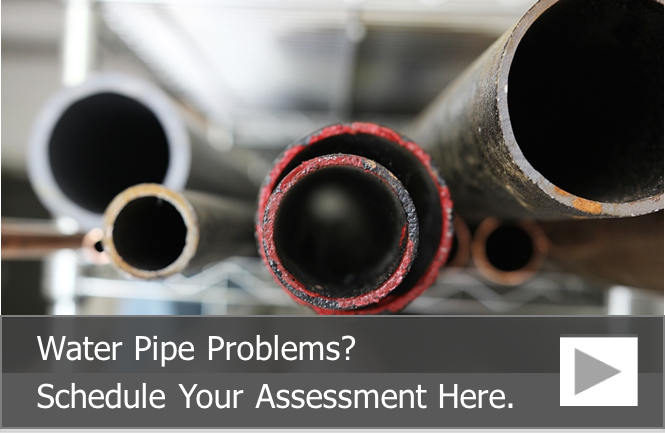 To learn more about our pipelining services and to request an estimate, call us at 815-790-9000.